Environmentally responsible pest control for families, children and pets. Arizona Pest Control Company provides free general pest and termite inspections in Tucson and throughout Southern Arizona. We specialize in termite control, pest control, bee removal, rodent control, and more for residential and commercial customers. Locally owned and operated since 1947 we use the latest and most technologically advanced methods of pest elimination available to the industry while minimizing our impact on the environment. Our employees are fully trained and licensed by the state of Arizona, and attend ongoing education to provide you with the best service possible. We take care of ALL pests! From termites, flies, scorpions, spiders, pack rats, wasps, bees, crickets, cockroaches, and many more we are proud to be your COMPLETE desert pest management specialists. Providing Pest Management Solutions throughout Tucson, Green Valley, Tubac, Oro Valley, Saddlebrooke, Vail and Marana. Call us at 886-7378 to schedule a free no obligation home pest evaluation. Same day service when available. 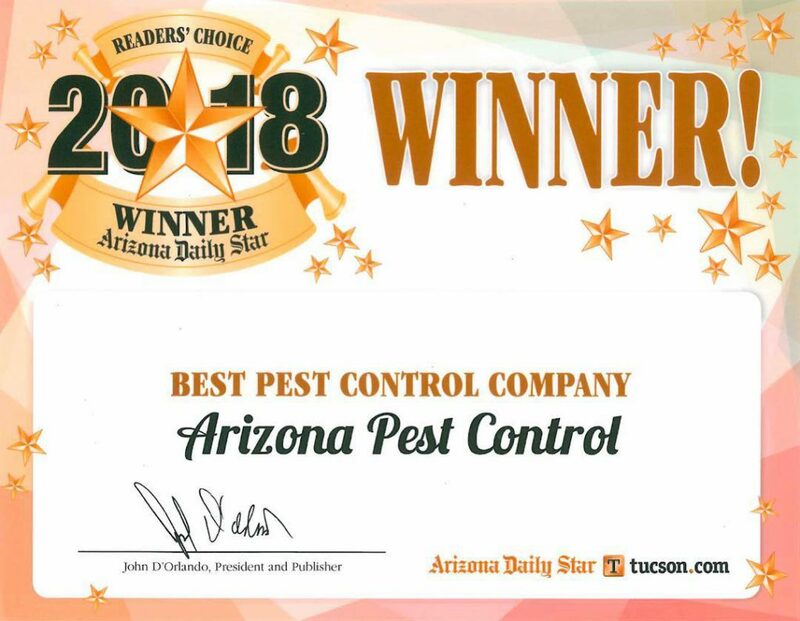 We've tried several pest control companies here in Tucson and would have to give all a satisfactory rating. While we never had a pest problem, we also weren't really aware of what they were doing when we received service. Not so with these guys. The technicians take time after each visit to discuss what they treated for, anything they may have found that we need to be aware of and always were honest and taught us things we may not have known. I'm sold and don't plan to use anyone else.